Thermal spring water is a sulfurous (1.10 mgm / l) mineral water source having 305,731 mgm / lt total mineralization. The healthy water of the spring, being passed certain tests, is being considered as an alternative for treatment of some of the skin diseases such as rheumatic diseases, soft tissue rheumatic disease (e.g. fibromyalgia), traumatic lesions of the locomotor system, some skin diseases (e.g. psoriasis, dermatitis), neurovegetative dystonia (e.g. sudeck syndrome), , neuralgia (e.g. sciatica), as functional regulator (rejuvenating cure),menstrual cycle disorders, dysregulation of the endocrine system. The most important one of the elements of a peaceful and healthy life is perfectly balance between the body and the soul. Rediscover yourself with Ab-ı Hayat Thermal Spa & Wellness experiences, a mental and physically renewable source of healing. Be ready to enjoy the pleasurable journey of peace, refinement and refreshment with the mystic far east touches, unique Turkish Bath which is the tradition of thousands of years of culture. Ab-ı Hayat Spa center, with its thermal pools, carefully designed in an area of 5000 m², offer wet areas with different functions ranging from 35 to 39 degrees, special aroma and refreshing sessions for those who want to make the spa experience unforgettable. There are 3 thermal pools including male, female and mixed, a sauna in the ladies section, a steam room, a Turkish bath and 2 VIP rooms. 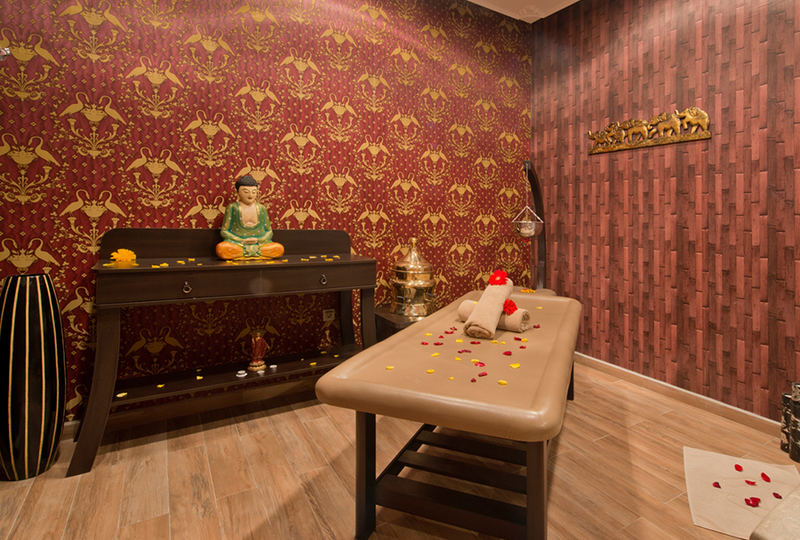 There are also Turkish bath, steam room, sauna and relaxation room in mixed areas. We advise you to book in advance due to the intense interest in this service.